Tired of walking out to the parking lot on a hot day to find your bike sinking into the asphalt? Fed up with dumping your ADV or Dual-Sport bike when the kickstand disappears into the mud? 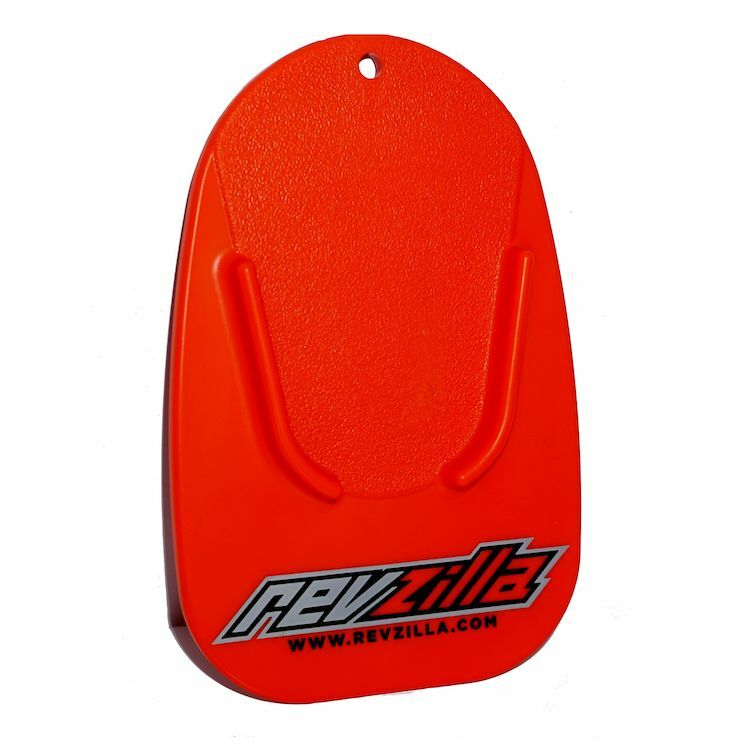 RevZilla has got your back (or bottom) with our ZLAntastic Kickstand Pad. The innovative design features a 3D molded area to keep your kickstand foot from sliding off the pad, as well as a precision drilled and strategically located hole to attach your choice of dental floss, rope or string to keep from leaving your new favorite piece of moto gear in the parking lot or on the trail when you ride away. Note: RevZilla recommends you never ride, or park, without the RevZilla Kickstand Pad.